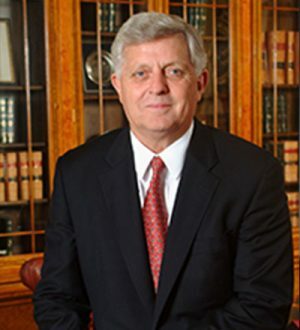 Khayat joined the law faculty in 1969, after a successful venture as a lawyer in Pascagoula. He served as a professor and associate dean, teaching local government law, family law, agency and partnership, federal trial practice, torts, civil procedure and wills and estates. As an Ole Miss law student, Former Chancellor Khayat was articles editor of the Mississippi Law Journal and finished third in his class in 1966. Khayat also started the Law Alumni Chapter, a group which continues to contribute to the school and alumni base in numerous ways. Khayat’s leadership extended beyond the walls of the law school. He was an academic All-American football player and was chosen as an All-SEC catcher for the 1959 and 1960 SEC champion baseball teams. He has received the Lifetime Achievement Award from the NFL and the Distinguished American Award from the National Football Foundation. Serving as chancellor of the university from 1995 until 2009, Khayat improved the university in many tangible ways. He increased enrollment by 43% and brought in research and development grants of over $100 million. He also brought the prestigious honor society Phi Beta Kappa chapter to Ole Miss as well as the 2008 presidential debate. Most recently, Khayat won a Silver IPPY for best memoir in the nation awarded for his 2013 memoir, The Education of a Lifetime.